Thyroid gland is the first endocrine gland for known deficiency disorder since 1850. 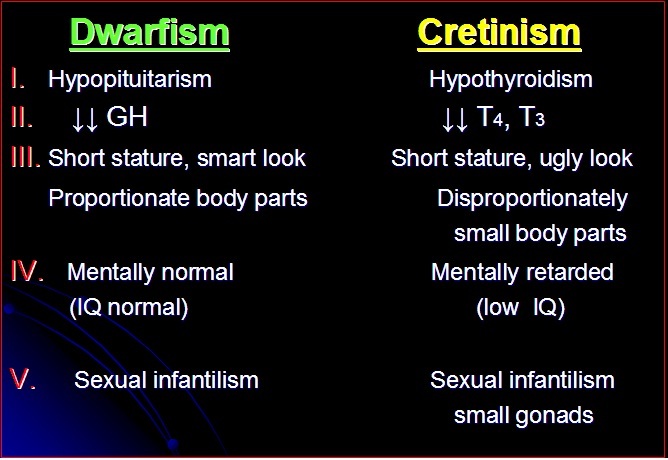 Cretinism is the mental and physical growth retardation in patients without thyroid gland. In 1891, these patients were given hormone replacement therapy by administering “ Crude Thyroid Extract”. a. Hypothalamic failure, accompanied by decreased TRH, decreased TSH and increased T4 and T3. b. Pituitary failure, with rise in TRH and fall in TSH and T4 and T3 levels. c. I-deficiency, along with increased TRH and TSH and decreased T4 and T3 levels. d. Resistance of target tissues (rare): due to down regulation of hormone receptors (accompanied by normal hormone levels (or sometimes elevated). Idiopathic nontoxic colloid goiter is an enlargement of thyroid similar to endemic colloid Goiter. There is no iodine deficiency. The T4 may be low or normal along with signs and symptoms of mild thyroiditis. 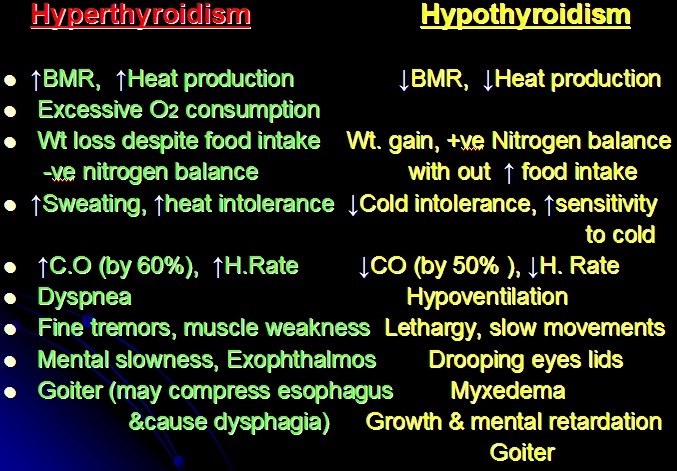 Decreased BMR and heat production. Frog like husky voice and scaly skin. 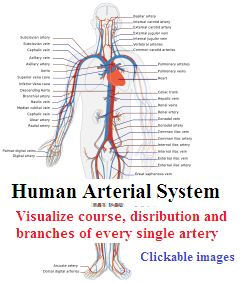 This is due to increased filtration of fluid out of capillaries & accumulation of osmotically active mucopolysaccharide in interstitial fluid, containing hyalluronic acid and sulphates bound with proteins. 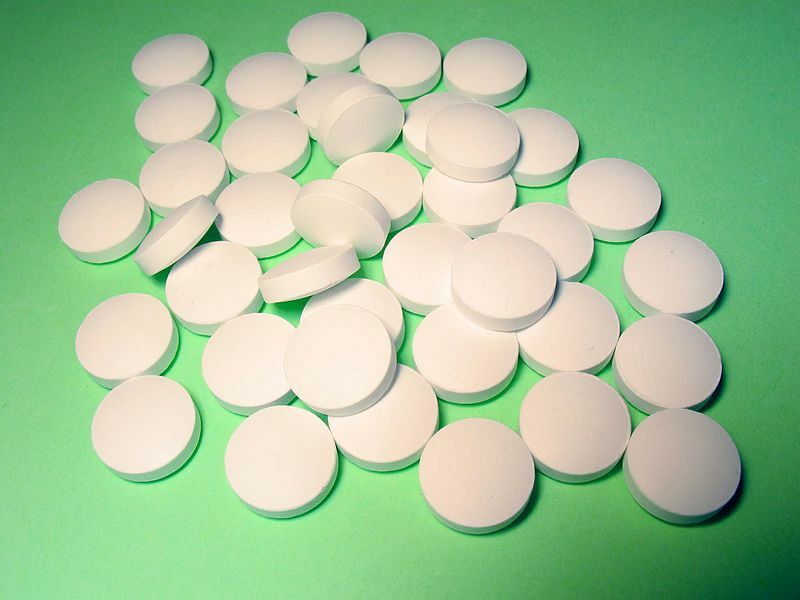 Replacement therapy by thyroxin is the treatment generally used. Mental retardation is the main feature of cretinism. The person remains mentally subnormal. Person remains immature. He is obese, stocky, short statured with protruded tongue. 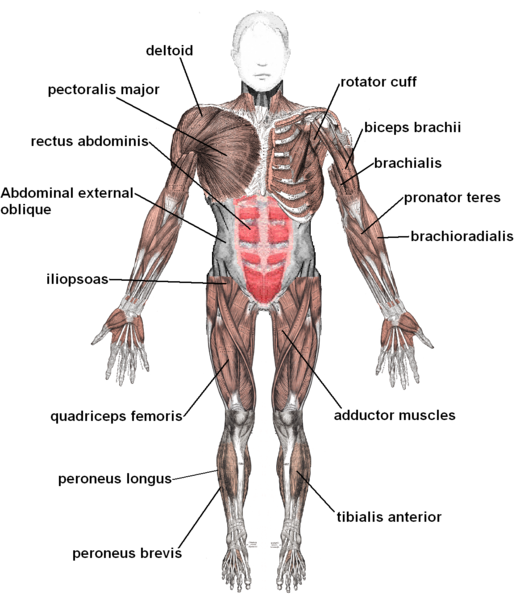 Treatment is with adequate amounts of iodine or thyroxin. Replacement therapy is effective within first few weeks after birth, otherwise permanent retarded mental growth takes place. I. Thyrotoxicosis or toxic goiter (2-3 times enlargement is seen). 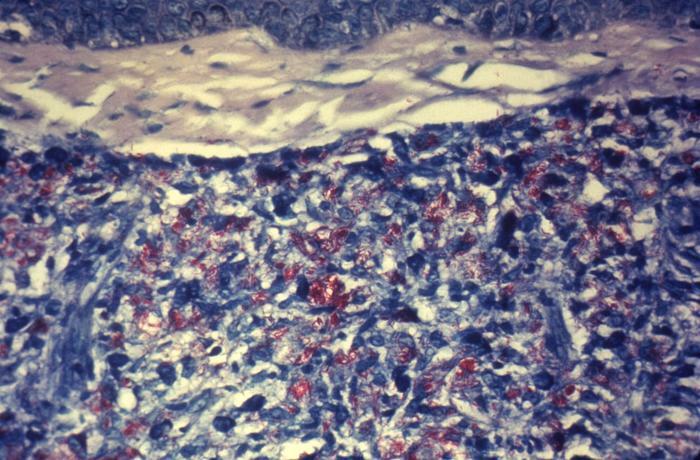 An increase in T4 and T3 is observed along with a decrease in TSH. The most common form of this is the Grave’s disease (constituting about 75% of the total cause of thyperthyroidism). This is another example of autoimmune disorder due to increased TSI. TSI is the Thyroid Stimulating Immunoglobulin, which includes the antibodies to TSH-receptors on follicular cells. The antibodies prolong the action (upto 12hrs) of TSH (which normally is only about 1hr) and cause hypertrophy and hyperplasia of thyroid gland. The result being 5-15 times increase in T4 and T3 secretion. Exophthalmos is seen in about 1/3rd of the patients. It is the protrusion of eye balls due to edematous swelling of retro-orbital tissues and degenerative changes in extra ocular muscles. If the optic nerve stretches there might be loss of vision. The eye lids are difficult to close while asleep which may damage the cornea. Treatment is by anti thyroid drugs (PTU). 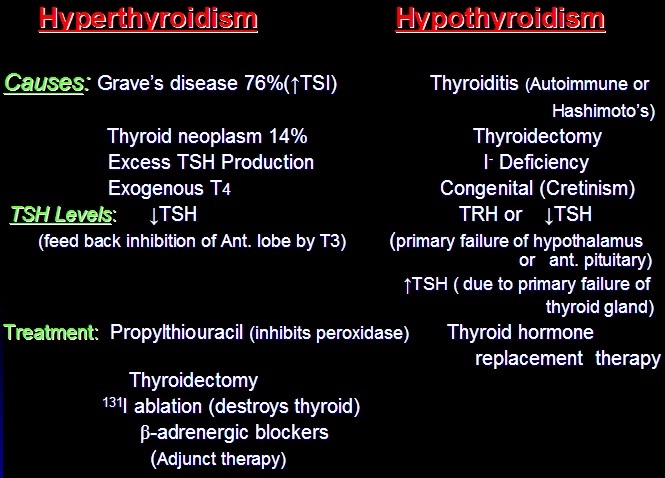 Thyroidectomy may be considered as well. 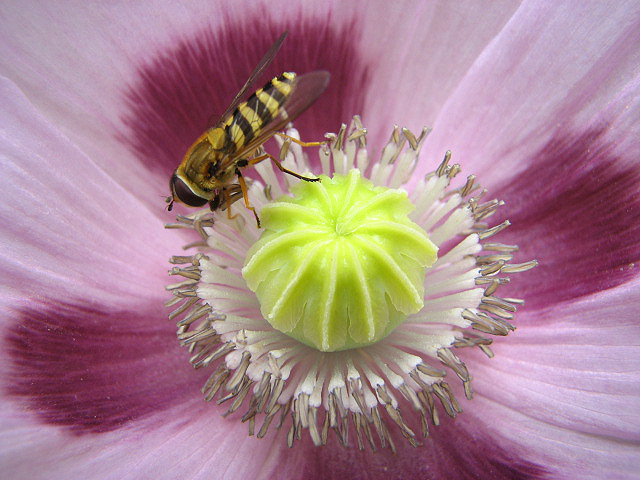 β-blockers and radioactive iodine (5 mcu) is also applied.